and my new obsession, Vita Liberata Trystal Minerals! This is a self-tanning mineral bronzer. 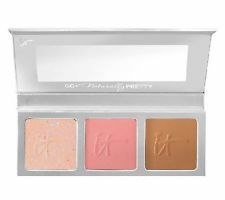 It sold out in the first two weeks on their website and is flying off the shelves at Sephora. I will definitely be wearing this all summer and beyond. It gives me the most amazing surfer girl/just got back from Mexico bronze. Using the Trystal3 technology it interacts with your moisturizer or liquid foundation to tan the skin gradually over time. It comes with a great Kabuki brush and instructions on how to make a major contoured look. It is oil free and lightweight. I wear it over BB Cream for a flawless look. So bronze up and strip down…. on a Tropical Escape, with Pacific Illusions. I love this cosmetics line. They are a mineral makeup company founded on the principal of being free or harmful ingredients and being cruelty free. This summer I’ve updated my look to beachy chic, with their Tropical Escape EyeShadow Pallet. It includes the colors Bermuda, Palm, Paradise, Dune, and Half Moon Bay. Paradise is a pale peach which is a nice change if you usually go beige or Pink. 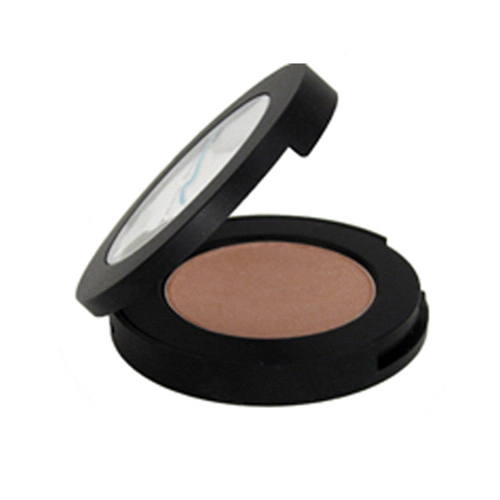 I’m bronzing all over with their bronzer in Carona Del Mar. And my lips look kissable with the help of Hibiscus Lip shine. This product has major shine and major pigment, yet is smooth and light like a gloss. So lighten your look up with Pacific Illusions and get Deep with someone this summer…. GET FRESH AND FREE SPIRITED…. 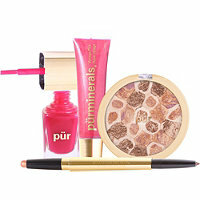 shades in your makeup with Pur Minerals Golden Age of Glamour Kit. 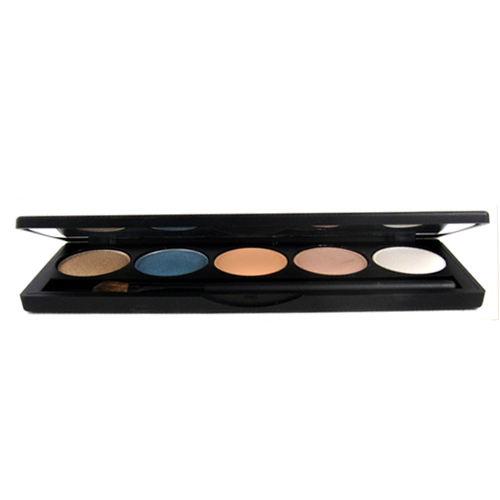 This kit contains bold pops of color, with balancing neutrals to create the subtle to striking looks. The Kit includes the Golden Age Eyeliner/Eye Shadow duo pen. Which is a perfect golden brown combo. Mosaic Powder in Ornamental. A great product to bronze and/or highlight. Boutique pink nail polish ( I love it on my toes). and Vintage Pink Lip Gloss. Your lips will not be ignored in this color. So go glam with Pur Minerals and find your Gatsby….